The center of the Village Council – the village Batchi. In the territory of village council there are 13 settlements: Batchi, of Andronovo, Polyatichi, of Litvinki, of Litvinovo, Shipovichi, of Gutski, Mazichi, item. Poultry farm, item. Fruit, of Cherevatchitsa. Millers. Gardeners. 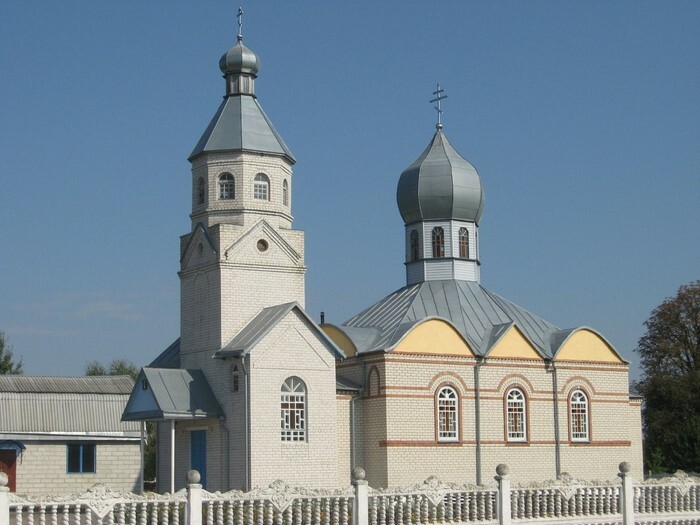 The Batchinsky village council is located to the West, the northwest of of Kobrin. The area of the Village Council – 6.386 hectares. Borders on Zhabinkovsky district. The Batchinsky village council is formed on October 12, 1940 (The decree of Presidium of the Supreme Council of BSSR of 12.10.1940. "About formation of city, village and settlement councils"). In the territory of present APO Batchi in of Litvinki in August, 1940 the collective farm "Lenin's Testament" was organized. Vasily Evdokimovich was elected its first chairman the Crows. After the termination of the Great Patriotic War in the territory of present village council the following agricultural artels were created: The collective farm "For valorous work" Shipovichi, is organized on September 28, 1948. Bekish Ivan Klementyevich was the chairman of collective farm. The collective farm of Kirov of Batchi, is organized in August, 1948. Volosyuk Luka Trofimovich was the chairman of collective farm. Collective farm of Frunze of. Millers, it is organized on August 25, 1949. The chairman is Sheyko Yakov Grigoryevich. The collective farm "Homeland" of of Cherevatchitsa, is organized in September, 1949. The chairman – I Am bleached Fyodor Yakovlevich. Collective farm "Lenin's Testament" of of Litvinki, September, 1948. The chairman is Malchuk Alexey Yakovlevich. The decision of Kobrin district executive committee of July 6, 1950 on the basis of the resolution of general meeting of collective farmers "Lenin's Testament" united with collective farm collective farms "For valorous work" and of Kirov. Dubovchuk Vladimir Dorofeevich was elected the chairman of collective farm. In January, 1951 "Lenin's Testament" united collective farm of Frunze with collective farm –. Millers and. Gardeners and collective farm "Homeland" - of Cherevatchitsa. On July 10, 2003 on the basis of collective farm "Lenin's Testament" APO Batchi was formed. The territory of the Village Council is located in a zone of the Brest Polesia presented by the Verkhnepripyatsky lake and alluvial lowland. Flat slightly wavy plain with absolute heights of 140-150 m on physiographic division into districts the territory of the Village Council represents the ground and sea plain of low Transnistria. A variety separate sandy ridges, hillocks and hills enter flat character of a relief. The proximity of ground waters and a weak drain promote bogging of the territory. In general the relief promotes agricultural processing of lands. From minerals there are small fields of construction sand which are used at construction works. Climate of the Batchinsky Village Council moderate and continental, unstably damp with warm summer and in rather soft winter. The western and southwest winds prevail. Average annual air temperature makes + 7,4ºС. Duration of the vegetative period makes 208 days. On average in a year 600-650 mm of rainfall drop out. On an amount of precipitation the Village Council treats a zone of sufficient moistening. Climate favorable for cultivation of the crops characteristic in general for the Republic. In the south of the territory of village council (from the settlement. Poultry farm to. Millers) there passes the Dnieper and Bugsky channel towards which the drain from drying channels of the territory of village council is directed. There are no natural lakes in the territory of village council, but the channel Shevnya proceeds. There is a set of artificial small reservoirs which are used for rest of people, fishing. In the territory of the production centers there are artesian wells, and in settlements mine wells. Of the territory of the Village Council are characteristic cespitose karbanatnye gley soils. From northern part of the territory they contain a large number of a humus, their acidity is close to neutral. They possess high fertility, are used as highly productive meadow grounds. All types of soils are subject to a wind and mechanical erosion therefore it is necessary to hold erosion-preventive events. The flora is presented by forest, meadow and marsh vegetation. The forest flora is presented: pine ordinary, birch warty, alder gray. The grass cover of meadows consists, generally from cereal and floral: camomile pharmaceutical, cornflower meadow, bird vetch, meadow grass meadow and others. The majority of meadows are plowed up and are used as haymakings and pastures. Bushes are considerably widespread. The area of the woods is small. Wood preparation is practically not made. All types of vegetation are considerably changed as a result of economic activity of the person. The fauna of Batchinsky village council is presented by typical specific structure of Kobrin district. Representatives of fauna it is typical representatives of the mixed and broad-leaved woods. From animals are characteristic a fox ordinary, a hare hare, a wild boar, a red squirrel and others. The most often met birds: sparrows house and field, stork white, titmouse and others. For protection of fauna in the territory of village council okhotdach where hunting for a wild animal is forbidden are created. The main problem of conservation – fight against a wind erosion, the increased marshiness of lands and unauthorized dumps along roads and forests. Population of Batchinsky village council for 01.01.2013 made 3109 people, from them 594 persons are more senior than working-age, 2515 people are made by youth and people at working-age. In comparison with 2010 natural losses of the population – 2,5 persons on 1 thousand population are observed. In gender and age structure the female population – 1134 women on 1000 people prevails. In general the territory of the Village Council is provided with manpower reserves. In national structure Belarusians, Ukrainians, Russians prevail. The religious organizations are the Orthodox church and church of Evangelical Christians of Baptists. The Etnokonfessialny situation in the territory of village council remains steady and predicted, is characterized by mutual understanding and mutually tolerance. In the territory of the Village Council there are APO Batchi, RUS software "Kobrin poultry farm", Brestoblplemobjedineniye of "Litvinovo" which are engaged in cultivation of KRS of the dairy direction, cultivation of grain, commercial and forage crops. Is in APO Batchi a modern orchard of 120 hectares (I grow up apples, a cherry plum, currant and strawberry) and a fur farm. RUS software "Kobrin poultry farm" is engaged in chicken farming. In the territory of village council there are three agroestates: "The Polesia traditions" and "On Sosnovka" - of Andronovo and "Mazichi" on the bank of the creek falling into the river Mukhavets. There are no farms in the territory of the Village Council. In the territory of village council the transport infrastructure is well developed: 2 railway lines: Brest-Kobrin-Gomel, Brest-Zhabinka-Minsk. There pass highways which connect Mr. Kobrin with Zhabinkovsky and Kamenetsky districts. In the southern part of the territory of the Village Council there is a Dnieper and Bugsky channel. The social sphere is presented by trade enterprises, consumer services of the population, 2 FAPA, high school (Batchi), kindergarten (the item. Poultry farms), 2 cultural institutions. 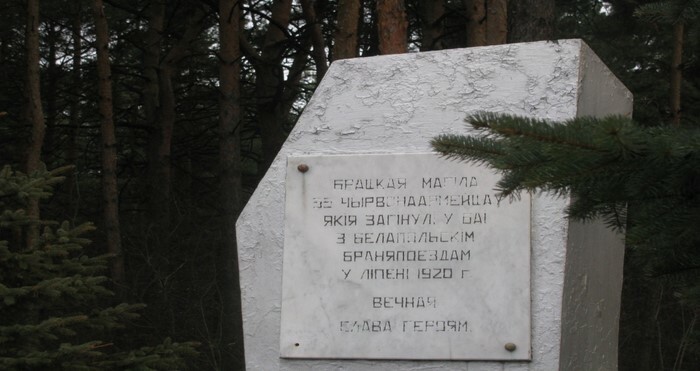 The Kazan temple (of Cherevatchitsa), monument to the fellow countrymen who died in days of the Great Patriotic War – of Cherevatchitsa which repeated destiny of Khatyn in November, 1943, a cemetery of times of World War I – Polyatichi, a monument to the fighters of Red Army who died in 1939 – Polyatichi.